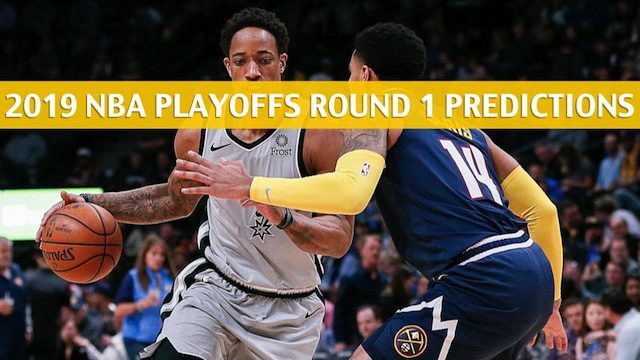 Franchise playoff experience prevailed in round one game 1 of this Western Conference series, as the Spurs drew first blood against the Nuggets. Perhaps they learned from their last regular season experience against Denver on April 3, when they were defeated 113-85. 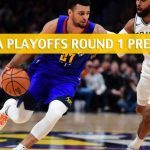 Whatever the case, Pepsi Center will bubble over with enthusiasm this Tuesday as the home team seeks to even things up before heading to Texas two days later. 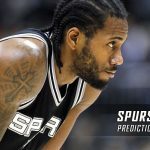 At press, NBA futures price the Nuggets at +2500 to win the 2019 NBA Western Conference while the Spurs follow closely with a price of +2800. While no player cracked the 20 point mark for the Spurs in game one, the team spread the wealth with five players scoring in double digits. DeRozan played well, putting in 18 points, grabbing 12 rebounds, and contributing 6 assists. Forward LeMarcus Aldridge chipped in 15 points, 8 rebounds and 1 assist. Rudy Gay was a difference maker off the bench, adding 14 points of his own. 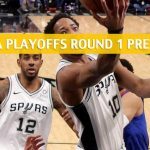 While San Antonio managed to take the first game, Aldridge will have to return to form and figure out the Nuggets’ defense if they expect to take game 2. The forward’s 15 points came on just 6 of 19 shooting. After a win this season, San Antonio is midrange against the spread (ATS), with a 25-23 record. On the season as a whole, they are 44-38-1 ATS, and on the road, they are 19-20-2 ATS with 25 overs and 16 unders. 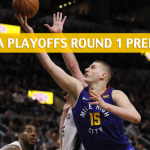 The Nuggets didn’t expect to be going into game 2 down one and that was their downfall. But with 6 players scoring in double digits in the first Round 1 outing, what more could they have done? More accuracy and better shot selection. Their 42% shooting from the field wasn’t terrible per se, but their 21.4% shooting from 3-point range was, especially when their opponent shot 46.7% from beyond the arc. Denver had one less turnover (TO) than San Antonio (who leads the league in fewest TO’s per game), but it was the one they gave up to Derrick White in the dying seconds that sealed their fate. 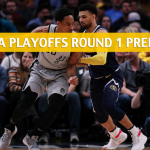 The Nuggets also outrebounded the Spurs 55-53, but going into Game 2 they need to extend their advantages far greater than they did in the first meeting of the playoffs. 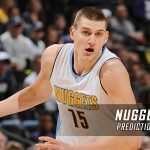 Denver is nearly even ATS on the season with a 42-41 record, and after a loss they don’t instill that much confidence for bettors, going 12-16 ATS, covering just 42.9% of the time. Denver wins, but keeps it too close for comfort with a final score of 101-99 as they prepare to leave home for game three.